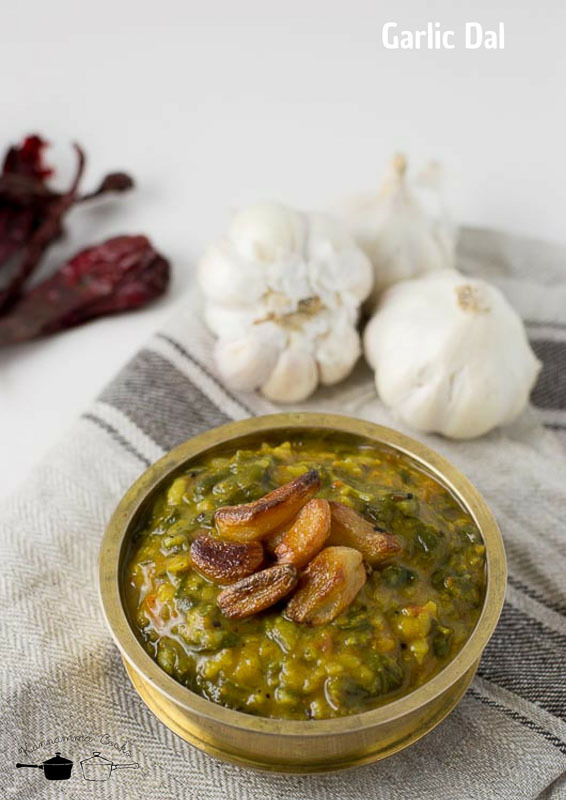 Recipe for Garlic dal with greens. 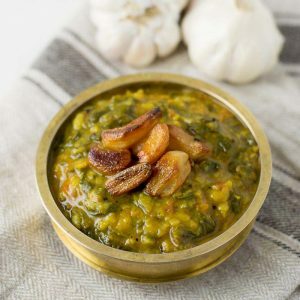 Spicy Andhra restaurant style Garlic Dal with greens recipe. Perfect accompaniment with rice and ghee. Recipe with step by step pictures. This is a very easy everyday recipe that can be put together easily and makes for a satiating lunch with rice and ghee. 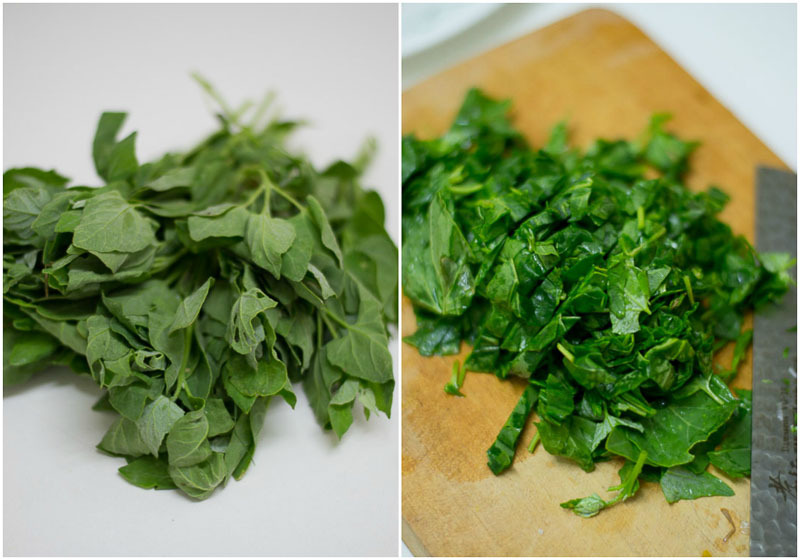 Any Indian green like amaranthus, palak or the Tamil siru keerai works well in this recipe. Its very hard to come by a south Indian that does not like his pappu/dal. The important thing in this recipe is to roast the garlic till its almost burnt. 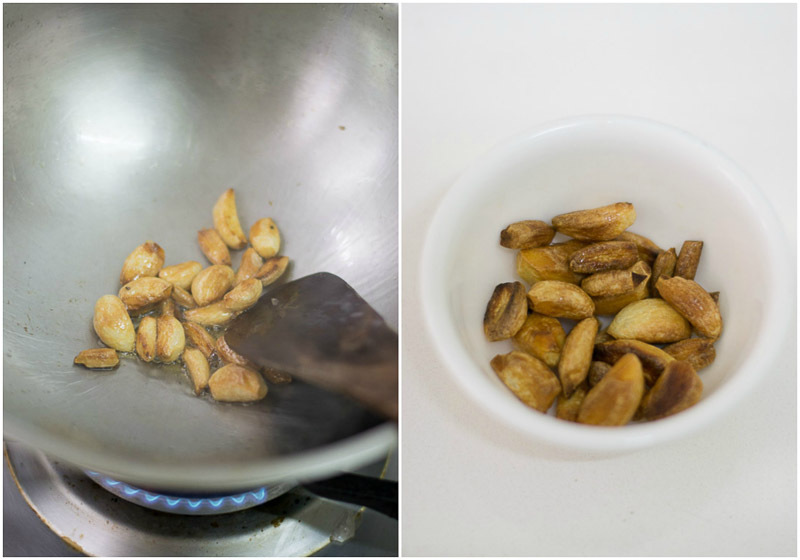 The flavor of burnt garlic is so addictive. I picked up this trick from my friend and Instagram rock-star Ree @cupcakeree. Her pictures are so mesmerizing and she is one of my all time favorite!!! Clean the greens and chop them. Set aside. Heat sesame oil in a pan / kadai and add in the whole garlic. Fry on a low flame for 3-4 minutes. Low flame is key so the garlic cooks through inside. If the garlic cloves are big, chop them so it can cook evenly. When the garlic is brown / almost burnt, set aside on a plate to cool. 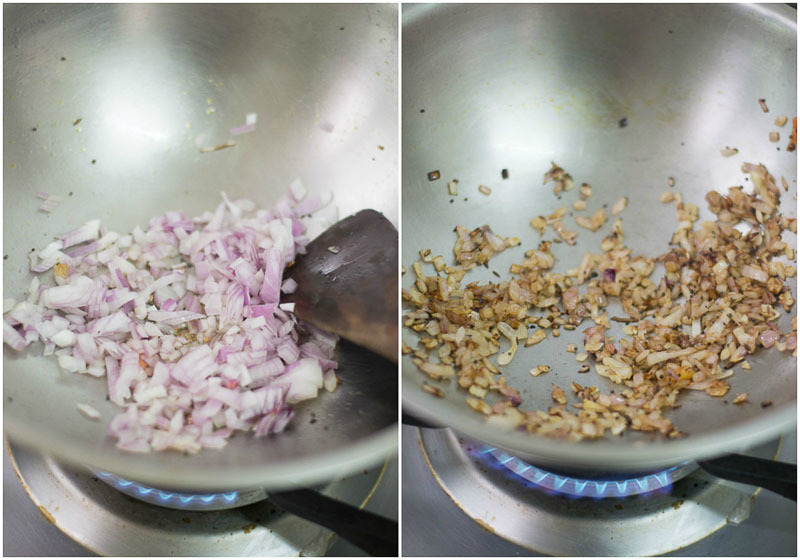 In the same pan, use the remaining oil, add in the mustard seeds and cumin seeds. Let the mustard seeds crackle. Add in the chopped onions. Saute the onions till its nice and brown. Add in the chopped tomatoes, sambar powder and salt. If you want a spicier dal, add in some slit green chillies too! 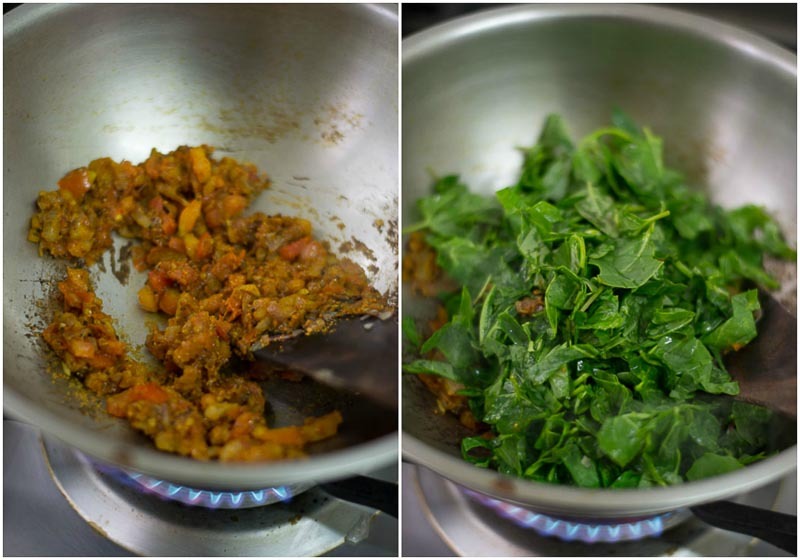 Once the tomatoes are soft and cooked down, add in the chopped greens. Add in the tamarind pulp. Add in half a teaspoon of jaggery. 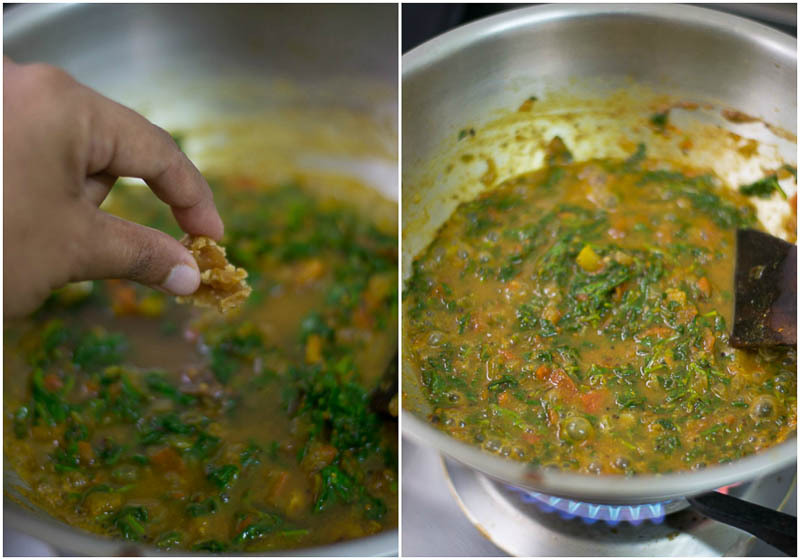 Jaggery rounds out the flavour of the dal. I add jaggery whenever tamarind is used in curry. Let the dal simmer for 10 minutes. 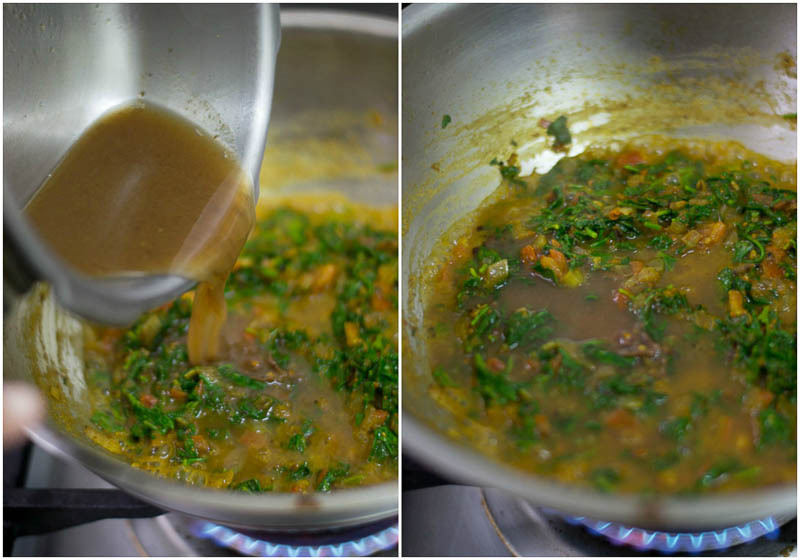 Once the greens and the tamarind and spices are cooked, add in the cooked toor dal and simmer the dal for a minute more. 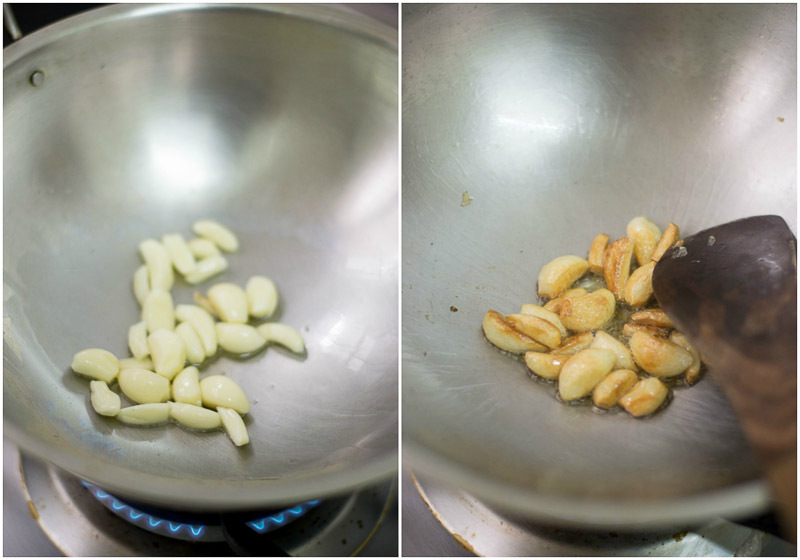 Remove from heat and add in the fried garlic. Garlic Pappu is ready. Serve with rice and ghee. Heaven, Heaven and oh heaven! Heat sesame oil in a pan / kadai and add in the whole garlic. Fry on a low flame for 3-4 minutes. Low flame is key so the garlic cooks through inside. 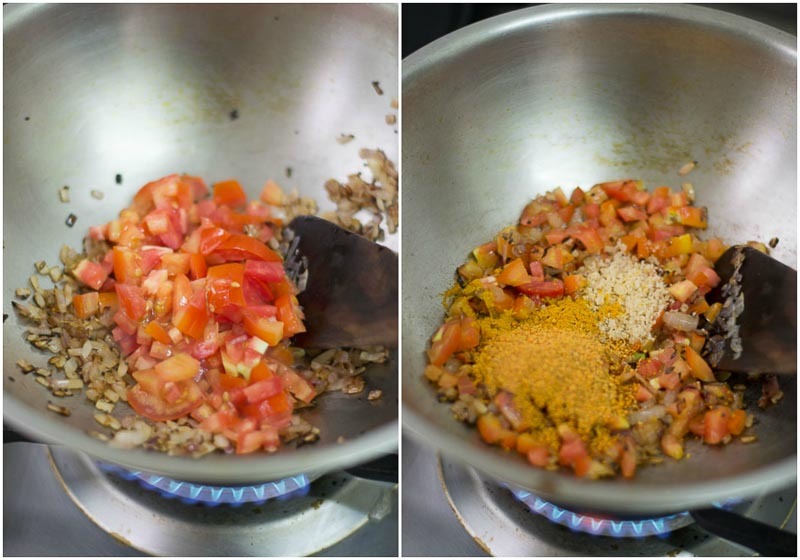 Add in the chopped tomatoes, sambar powder and salt. Add in the green chillies. Add in the tamarind pulp. Add in half a teaspoon of jaggery. Let the dal simmer for 10 minutes. 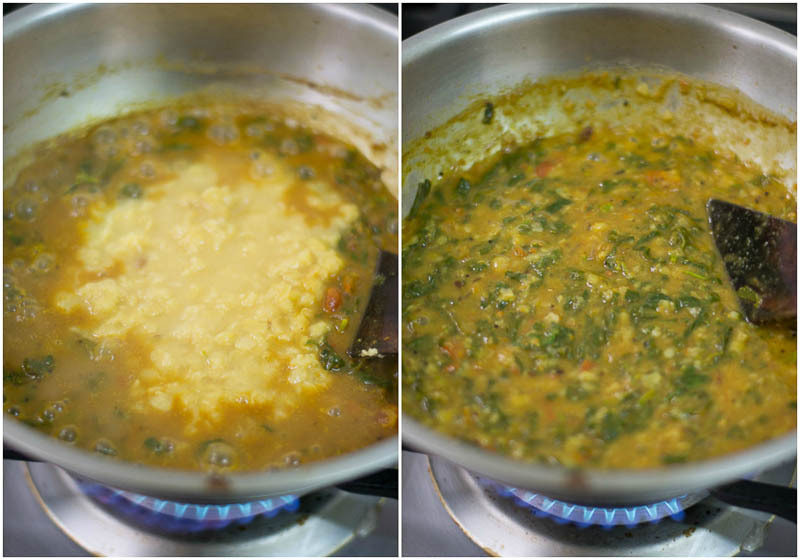 Add in the cooked toor dal and simmer the dal for a minute more. Remove from heat and add in the fried garlic. Garlic Pappu is ready. Serve with rice and ghee. 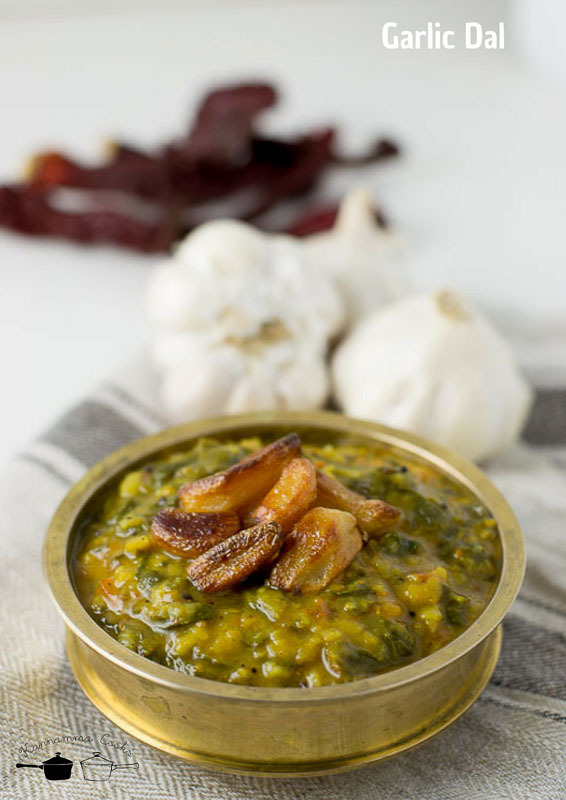 This is such a good recipe; the dal tastes great, full of complex flavours. Thank you! Great recipe. Paired it with the Turnip kuruma. Looks yummy. I m sure it will taste great. I m from Bengal. Can masoor dal be used instead.